One source of this bloating comes from CAD drawings that were either opened with MicroStation or include Bentley content. MicroStation linetypes are processed as "orphaned data" when inserted into an AutoCAD drawing. 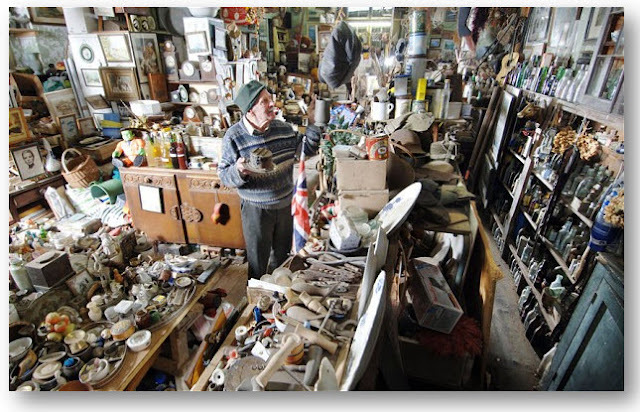 Autodesk added the option in AutoCAD 2015 to be able to remove this type of "DGN Junk" from a drawing by using a new features within the PURGE command. 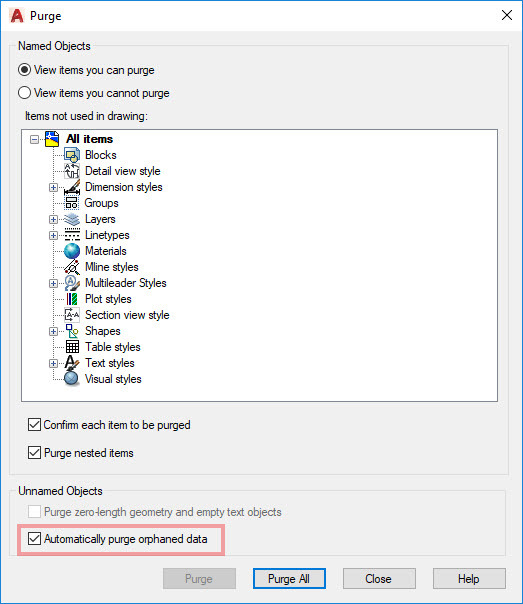 Once you start the PURGE command (AutoCAD 2015+), you have the option to "Automatically purge orphaned data". Prior to AutoCAD 2015, the option to purge this data was only accomplished via an Autodesk Hotfix, an AutoCAD Exchange App called "Drawing Purge or DGNPurge" or through the use of custom LISP routines. In the Purge dialog box (shown below), there is a checkbox option to "Automatically purge orphaned data". Once this checkbox has been toggled on, AutoCAD will remember your preference for the next time you run this command. Orphaned data should always be purged out of a drawing. Note: after purging, its good practice to run an audit on the drawing to evaluate its integrity and to correct any errors. On the AutoCAD Command Line, type AUDIT then <enter> to run the process. Once complete, save the drawing. The example below demonstrates the impact related to file size before and after purging.